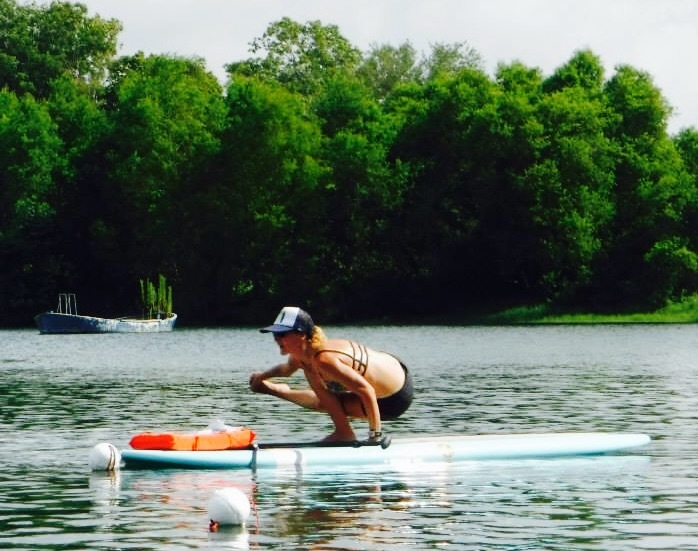 For the last two summers, I’ve had the best time teaching stand-up paddleboard yoga with BIG SUP Yoga at a beautiful spring fed lake here in Houston (288 Lake). Spending time in nature, soaking up the sun, floating on water and doing yoga! It’s my favorite thing to do in this entire town. I always feel like I’m on a mini vacation right here at home. I’m also always outrageously hungry after I’m done teaching or practicing. And what I want more than anything is a really good taco. We have some great spots for that. My two favorites are Torchy’s and Velvet Taco. But instead of my usual after SUP taco, I decided to go to my favorite Hispanic grocery store, Mi Tienda, and buy the ingredients to make homemade flautas this weekend. I picked up some freshly-made (still warm!) 100% corn tortillas, black beans, fresh corn, calabaza squash, papaya and prepared pico de gallo. Then I got to work create this meal that I saw very clearly in my head and craved big time. I sautéed red onion, grated calabaza (zucchini would work too) and the fresh corn in a little olive oil. Then I added the black beans and some spices. Finally, I mashed it all up with this handy bean masher that I have, a potato masher would be fine. 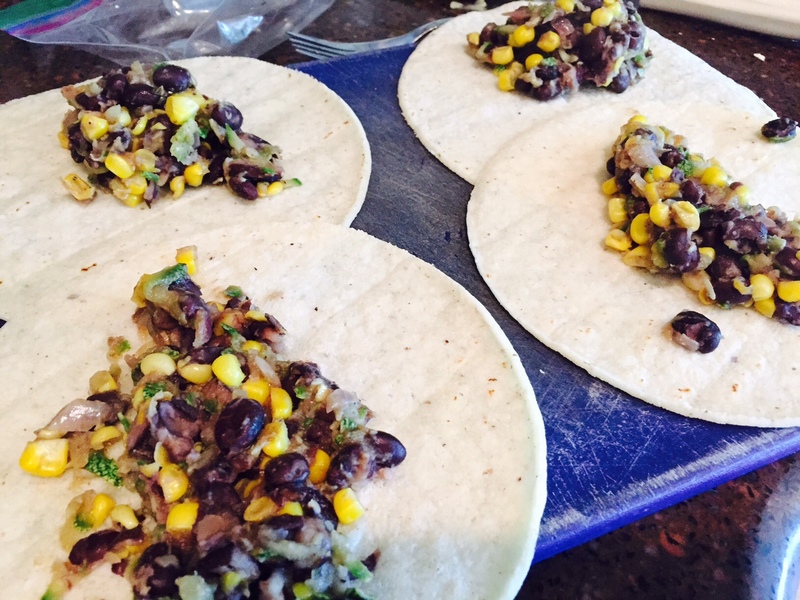 I took some of the bean mixture and rolled it into several corn tortillas. I secured the seam with a toothpick and placed them in a large skillet to brown. While that flautas were cooking, I chopped some papaya and added it to the prepared pico de gallo, seasoning it with a little sea salt and fresh lime juice. I also threw together a zesty lime coleslaw by tossing shredded green and red cabbage with vegan mayonnaise, lime juice and a pinch of cayenne pepper. 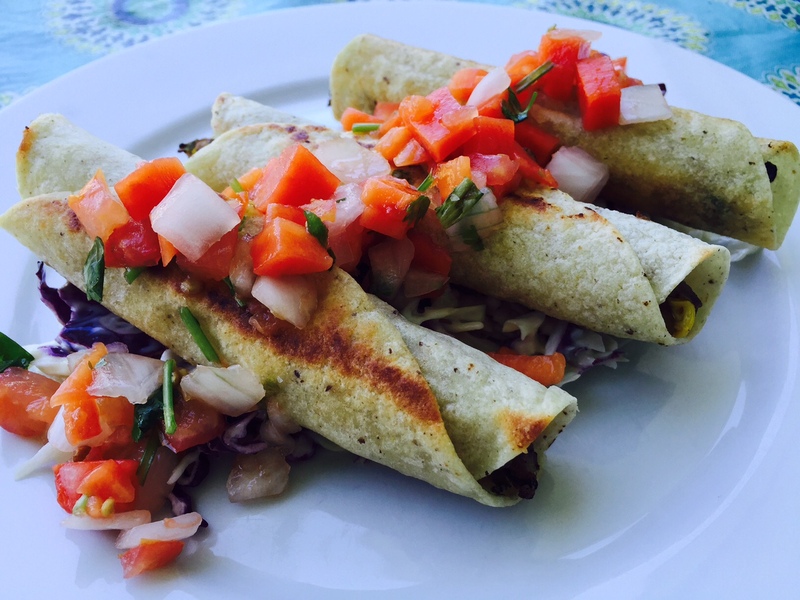 I served the black bean flautas over the coleslaw and topped them with the papaya mixture. Now I’m not sure if it tasted so good because I had spent the day at the lake in the sun, but I do know that it made me very happy. This is a fairly easy recipe that would be great to make any time and it looks so pretty on the plate that it would be a special meal for company too. Heat 2 tsp olive oil in a medium skillet over medium high heat. Add red onion, grated squash and fresh corn kernels. Saute until onion softens. 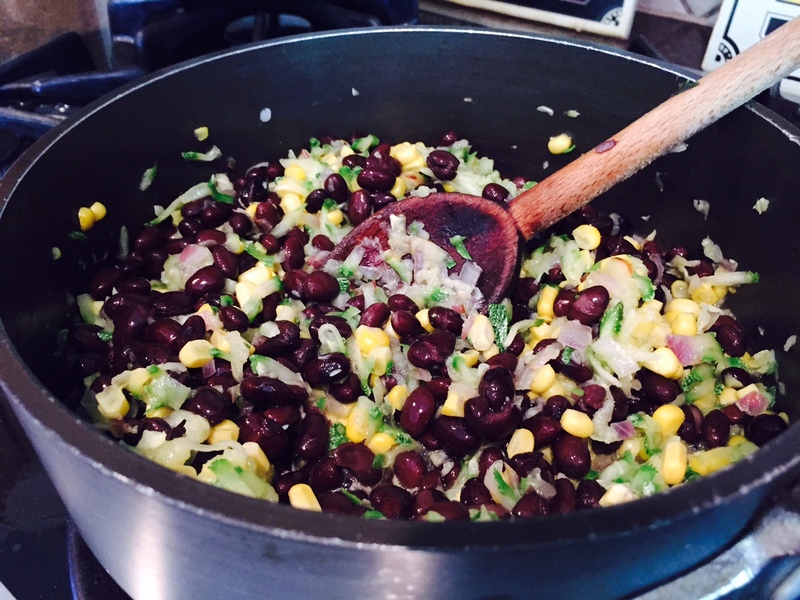 Add black beans and spices to taste. Continue cooking another 5 minutes. Mash 3/4 of the bean mixture, leaving some of the beans whole. Lay the tortillas on a plate. Spoon a generous tbsp of bean filling down the center of each tortilla. Tightly roll enclosing the filling and secure the seam with a wooden toothpick. Heat a large skillet with 2 tsp olive oil. 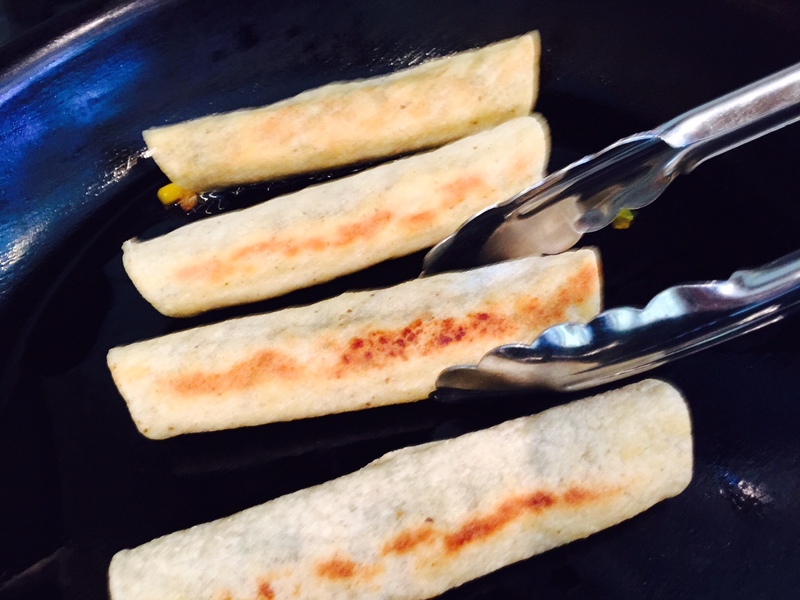 Place filled tortillas in the skillet with the toothpick side up. Cook until nicely browned. Remove toothpicks and gently roll flauta onto the other side using tongs if needed. Continue cooking until browned on this side. Remove to a plate. 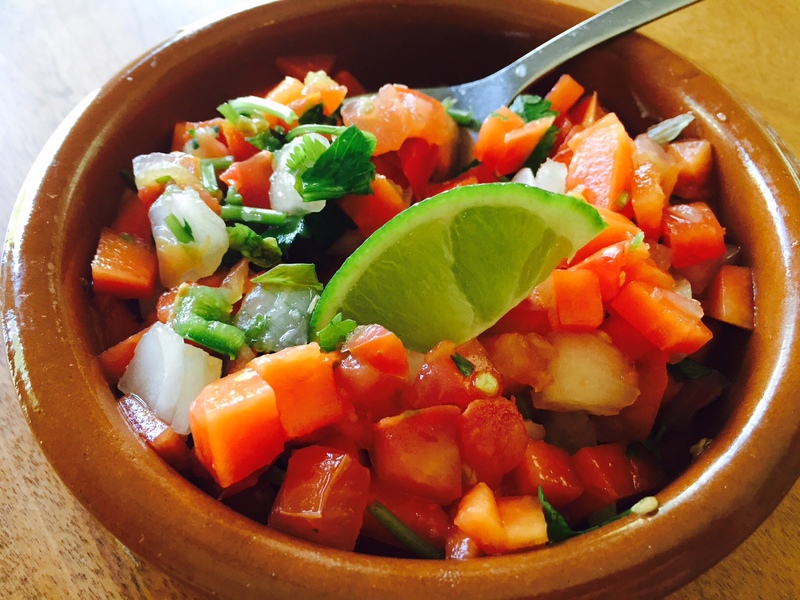 Combine chopped papaya and prepared pico de gallo. Add lime juice and sea salt if needed, to taste. 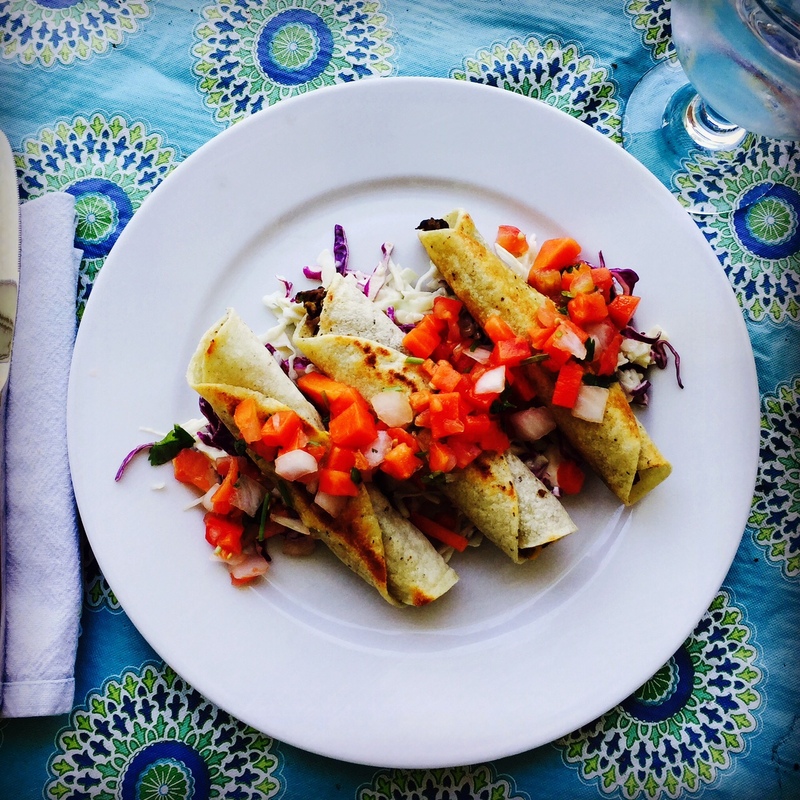 Serve flautas on a bed of lime coleslaw topped with the papaya pico. 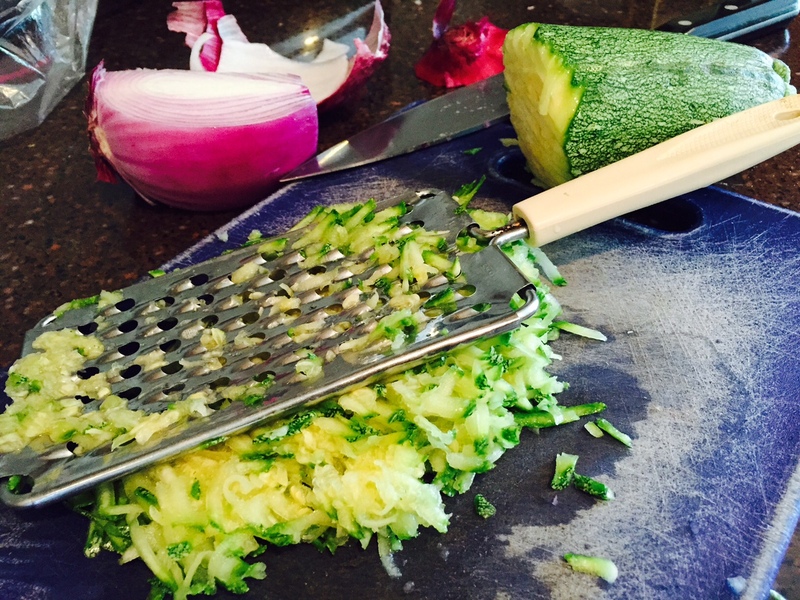 Place cabbage in a medium size bowl. In a small bowl, whisk together vegan mayo, lime juice, sugar and cayenne. Taste and adjust seasoning if needed. Toss cabbage with mayo mixture until combined. Culinary wizardry. I like cooking from images, too. It’s like creating art, I think. Food art.